Bangalore is now, the new hep place to be in, what with its beautiful crafty cafes and a new penchant for always starting a trend that blows all and everything out of its way. It can be because the consequence of being the college and university grounds, which makes it be the destination for the youth to blend in, the place with its own charm and vibes oIndo-westernrn fusion. From fashion to food, everything here has its own way of making their influence and place in the place. Just like how this all new and very authentic sale has made its way to the top of every Bangalore resident’s hitlist. 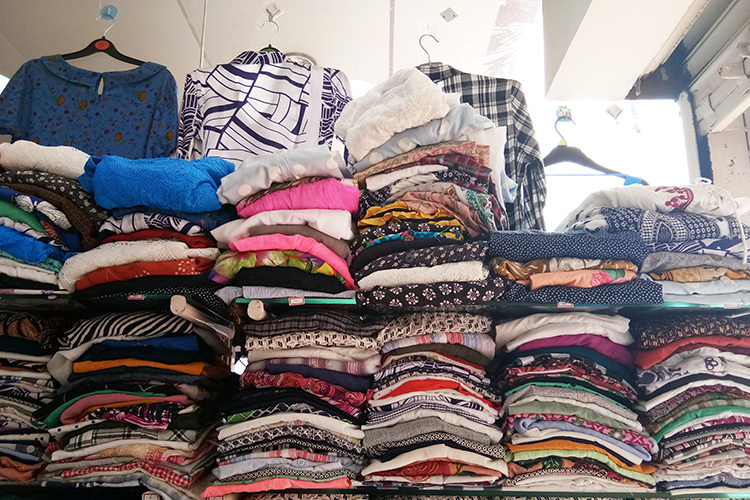 Well, if you’re a closeted or full out garage sale junkie, here’s the recipe of fun and all-out experience of a lifetime for all of you to have your hands on all fashion! Bring in your A-game this weekend, on the 10th and 11th of June only for Spoyl, an online store that lets you buy as well as sell gently used clothes. Well, Spoyl is throwing a massive garage sale in their store in Koramangala, and everyone’s definitely invited. So, get ready for a trendy and fashionable ride through brands such as Zara, Vero Moda, Chemistry, Forever New, Anouk, Forever 21, DressBerry, and Roadster and all, that will be featured prominently amongst other brands. It’s a two-day sale, so its highly recommended to you that, you go in on day one itself, which is this Saturday, June 10 at noon, when the sale starts. Sunday, June 11, you can hit up the sales at 3 pm. Now, that’s not all that you can anticipate in this big garage sale, it also gives its attendents a chance to explore the chances of a lifetime like that being to socialise, engage in photo-ops, as well as be styled by some of the top fashion bloggers in the city. Well, not to mention that you can indulge in the snacks corner as well while on this tiring fashion spree! For all the peeps out there, who are not familiar with Spoyl, its an online fashion re-commerce destination that lets you buy as well as sell new and gently-used clothing, accessories, books, sports equipment, and even furniture. The biggest highlight of this sale is that from the whole of the net proceeds of the same, 20% will be donated to charity, Seams for Dreams which is an initiative by actress Evelyn Sharma. Well, shopping just became all the more happy with its own ways of helping out society! Smile and make others smile!